While clearing my room today, I found a pile of old magazines stuffed at the back of my wardrobe. They were a pile I’d picked up at a carboot sale (and at £1 for 5 of them it would’ve been rude to say no). They’re copies of Honey and imagine my surprise at one of the articles I stumbled upon…. 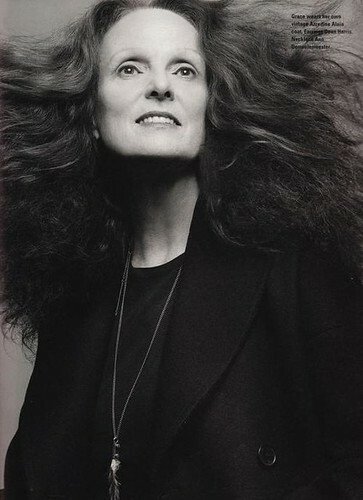 If the world suddenly spun around to the year 2000, model-girl Grace Coddington would still be way-ahead in fashion. For years she gas been the fashion yardstick for the no-fuss, no-frill girls. Her idol is Courrèges, the space-age Paris designer who is uncompromisingly modern. And Grace won’t give way to passing fads and fancies. ‘Dolly-clothes’ are her pet abomination. Her hair is Sassoon-short – she was one of the first to dare to let Vidal sculpture it thus. Her outline is taut, slim, at right-angles with the crystal-cut clothes she wears for her London-Paris commuter-life. The article was published in 1965 (May), and it felt so weird reading it now and thinking how right the article. Here we are 65 years later, and Grace Coddington is still making her mark in the fashion world as creative director for American Vogue and producing gorgeous shoots. Promise I’ll have a proper look through them when I get a chance and share anything else that’s interesting. But not right now…I’ve just got out of work and there’s too much sunshine outside to let it go to waste…. so so so in love with that woman! thank you for your sweet comment, it means the world! i love love love love her work! after watching the september issue i realized that all of the vogue spreads that i have saved were done by her!!! she has great taste!!! how cool to find them!